We understand there are some things that money cannot replace; from your insurance policies to your great-grandmother’s ring. 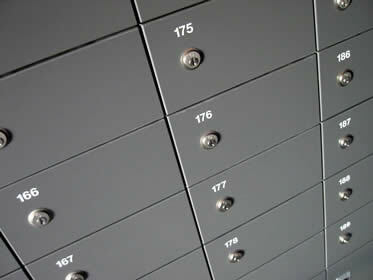 Help keep your most important valuables from getting lost, damaged, destroyed, or stolen with a safe deposit box. We offer safe deposit boxes at our Rockford, Oregon, Rochelle, Roscoe/Rockton and Stillman Valley locations. Our safe deposit boxes are available in a variety of sizes and start at just $20/year*. Contact your local office for more information. *If automatically withdrawn from your account.